A malfunctioning boiler will compromise your comfort and possibly even lead to a chill that causes a serious illness. Don’t jeopardize your health and comfort by heading into the winter with a faulty, old, or broken boiler. 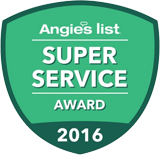 Service Plus is here to help all residents throughout the greater Indianapolis area with their boiler issues. Never ask, “Where can I find boiler service near me?” ever again! When your HVAC breaks down, Service Plus can help. Contact us online to schedule an appointment or call us at 317-434-2627 to request assistance! Why Should You Choose Service Plus for Your Boiler Repairs? Invite us into your home to analyze your boiler issue and you will be glad you did. We truly appreciate the opportunity to earn your business, and are mindful in every sense of the word. From cleaning up messes after repair jobs to treating you and your family with respect, our technicians sweat all of the “small stuff.” Our team even offers a no-cost carbon monoxide check with each heating repair job! Service Plus has gained a reputation as the go-to source for boiler repair service in Indianapolis for good reason. Our boiler service aficionados know all the ins and outs of boilers. Lean on our service when you suffer a boiler breakdown and your home heating system will be back up and running in surprisingly little time. Contact us to learn more about our boiler repair service and schedule an appointment!